Now Bones is an interesting album. If you are looking for new and unique music, I think you should pay attention to this one. It opens almost like “Money” by Pink Floyd, with a great bassline that you’ll notice right away. The singer’s voice is sort of familiar – Black Keys mixed with Ray LaMontagne (it actually works). This song is bluesy, with rolling, rhythmic guitar and drums that aren’t afraid to just lay it all out there There is even some synth peeking through, to add a contemporary edge -while organ keys add a bit of honky-tonk style. It took me awhile to really place the vocals and find several comparisons for you – they are familiar but not commonplace. The singer is very like the Black Keys when the songs freak out and get growly – but something about this album is more indie, more gentle, more folk than a release by the Black Keys. There is a little bit of Jack White influence and flavor in here too – OK maybe a lot. But somehow I find these guys a little more intriguing and dare I say, more authentic? The second song features lots of organ – there is a more upbeat tempo than the first, and a lighter, faster feeling – while still possessing an eerie and minor-ish twinge. It reminds me a little bit of “Fly Like an Eagle” by the Steve Miller band, but more updated and fresh. Bleak, creepy lyrics include: “Breakin’ my back ‘till the work is done…Bitter fruit feedin’ on the damned…Be the wind, not the willow – rattle them bones” (imagine these words accompanied by echoey backing vocals!). Track #3 is called “Heavy Hammer” and delivers a 90s party song feel. I’m not completely sure how to describe this or compare this – maybe a little bit like the Black Crowes? Very soulful and raucous. Next, for a song called “Zydeco”, I’ll say I don’t think they’re really maximizing this song name (although there is a lyric “he’s the zydeco inside of me”…). It starts out similar to “Frankenstein” by the Edgar Winters Band! The whole thing transforms into a psychedelic 60s-or-70s style, backing-vocal effect-charged mixture, making garbled bubbly sounds before the whole thing winds down – like a flying saucer coming to a halt. “Butte La Rose” starts out bare but opens up into a multi-instrumental, multi-style extravaganza – definitely the artsiest piece on the album. There’s lots of reverb and sampled sounds – some electronic but many acoustic. Overall you get the good feeling of experiencing musicians just jamming out and going crazy, while staying grounded with a Neil Young-esque appeal. I couldn’t help but nod enthusiastically along with this one – track #6 called “Dust”. The intro is just really sassy, twangy, raw and rock, with a heavy but steady basic drum beat. The lyrics whine above all of this messy goodness so delicately – a chorus of clapping hands chime in as the song picks up even more, and the vocals get intense. Just when I thought had heard enough to know what this song was about, at approximately 3:10 I was surprised with howling vocals and a wailing guitar solo – all accompanied by the heavy vibrato of an organ. The song is not especially fast, but there is so much going on it remains extremely compelling. “My Love” starts out like something from the 70s – a CSNY sort of minor-keyed emotional and folky song, but then it picks up with heavy-hitting drums and a lot of soulful warbling. Once again this sounds like a group of people just really jamming; recorded-with a live-in-a-house sound. “Soft Spoken” is really sassy – the vocal performance is amazing with a shrieking intensity on the high notes: “I may not be your clean kind of shiny bright / But I’ll be your pusher man and I’ll be your sugar cane / Baby I do it right.” This one is full of syncopated rhythms and isolated sprinklings of guitar over mellow, moody bass. The lyrics are kind of hard to fully pick-up, and they aren’t posted all over the internet yet – but I’m sure they will catch on in a big way soon. They seem to be very rich and intentional; nothing especially trite or cheesy stuck out to me as being irritating which is a huge (and unusual) plus. The last song is surprisingly danceable – Track #10 is called “Berlin”. I’ll mention the vocals again, because here they’re just fantastic. At the end of the album I realized that in addition to Black Keys with a touch of indie-folk influence, this singer evokes a bit of the Temper Trap sound here too: “Don’t look so tired my dear – we may be bruised by the day is almost here.” Complex guitars under everything complete this stellar song. I really love that this album starts out a little bit slow, but then the energy is allowed to build and grow as each song gives even more movement than the next. 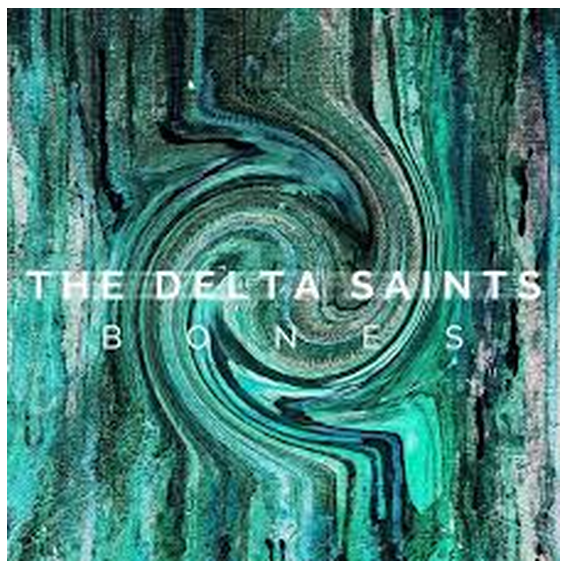 So many artists mix the slow songs on their albums in with the fast, or they tend to get more moody and delicate nearer the end – I really appreciate something like Bones that just keeps going, and going strong! You should definitely check this out. *Photo not taken by RMC – image copied from album art as presented on http://www.eartothegroundmusic.co with the original posting of this music review, published October 11, 2015.